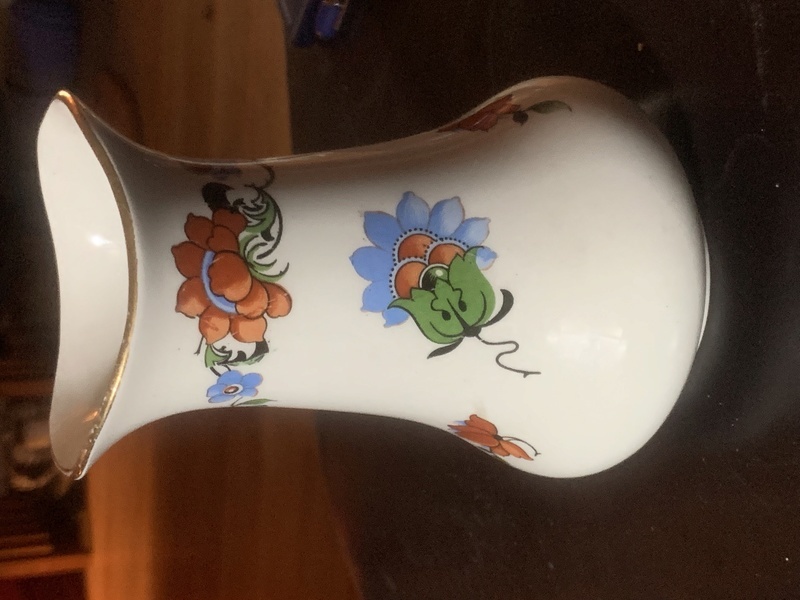 Hi, I bought this lovey vase from a charity shop in Nottingham. Its 6in tall, with a 4 in base, the opening at its widest point is 3in x 2.5 in. There is a gold gilt edge around the top, I'm sure its transfer ware and is in excellent condition. The markings on the bottom reads Bisto England in green and cw262 b in orange. 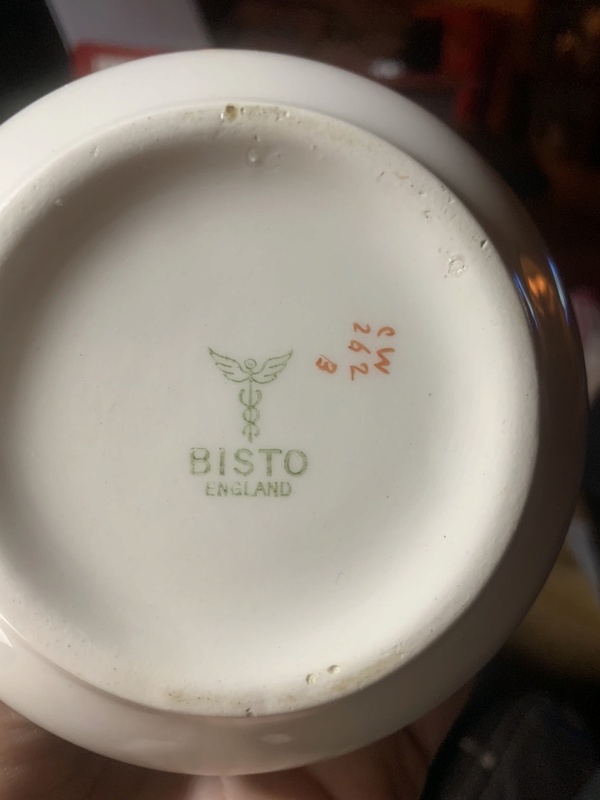 Ive tried to find it on line and now know Bisto means Bishop and Stonier but I cant find a name fr the pattern? 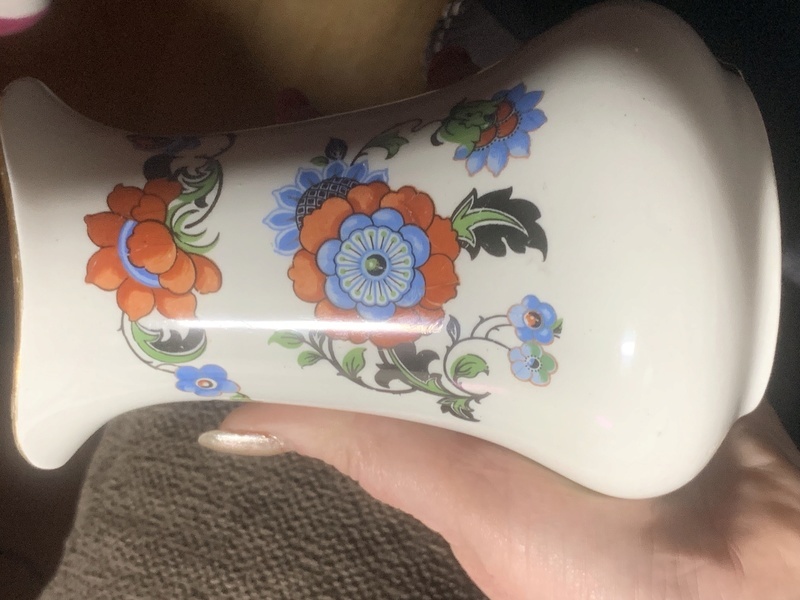 There is no pattern name, just the pattern number on the base. Also, it is actually a toothbrush holder and was part of a washing set. Hope this helps. Oh that’s really interesting, thank you. Do you think it’s of any value? I would suspect only a few pounds in the current market I'm afraid.